Where can you find startup business financing? Start up business financing is a rather specialized form of financing. Not all banks and financial companies will work with a new business because they are considered high risk. 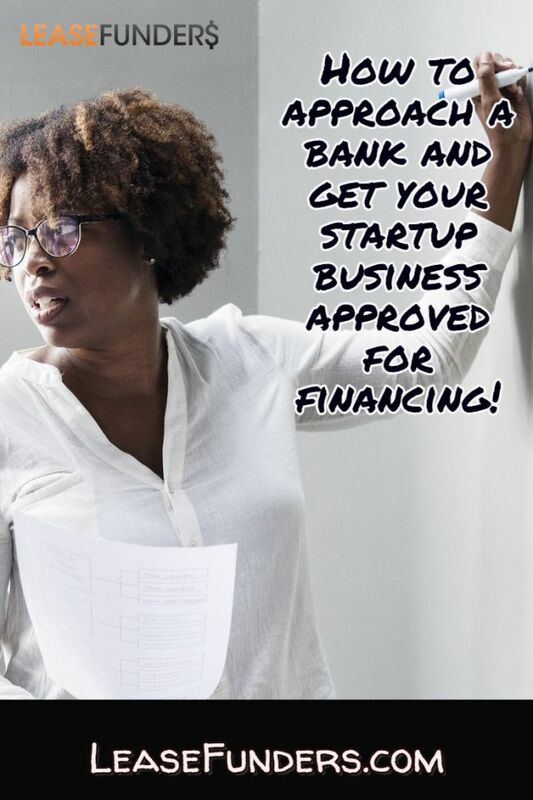 So as a new business owner seeking financing, the first question you should ask your prospective lender is if they finance startup businesses! Don’t start filling out the application until you know for sure! Many of our clients who find us online have multiple credit inquiries from banks and finance companies that DO NOT finance startups. They should never have filled out the application since all they ended up doing was getting a denial AND having their credit score drop from the multiple inquiries. 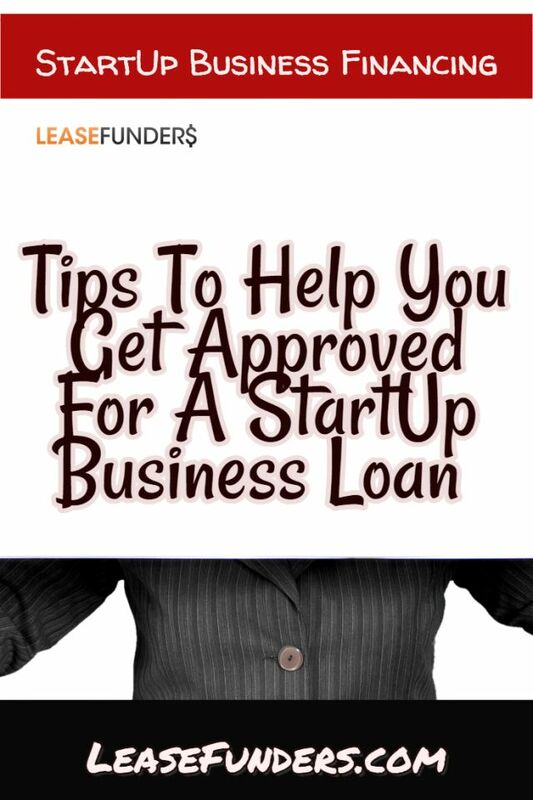 What’s the best way to get approved for start up business financing? No matter what kind of startup business financing you are seeking, these are the basic pieces of information you will need. Before you submit your equipment lease or small business loan request, make sure you have checked your credit! Don’t wait until you are at the bank to find out there are errors on your credit report. Make sure you pull all three credit reports and all errors have been REMOVED – — not in the process of being removed, but removed completely from your credit report. Telling your equipment leasing broker or small business loan broker that it WILL be fixed won’t be good enough, unless you have something in writing from the creditor reporting the erroneous information. They can only go with the information provided to them at the point when you apply. Those who fail to plan, plan to fail is how the old saying goes. And it’s true! A business plan not only helps prospective lenders understand your business and what you want to accomplish. But it can also be a guide for YOU! I attended a business mastermind hosted by a mentorship group run by millionaires and multimillionaires. One thing that they all had in common is that even though they weren’t looking for financing they had business plans. They didn’t just write a plan and put it away in a drawer somewhere, they reviewed their plan several times a year (some quarterly, some twice a year) they made adjustments, updated financial projections and it really helped them to stay on track! Keep in mind that equipment leasing is one of the highest rates of approval of all the different forms of business financing. 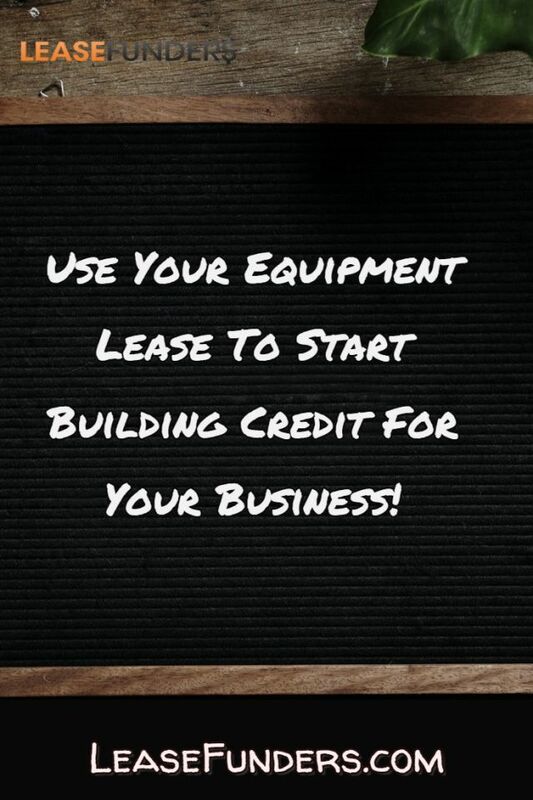 So with a little bit of planning and research, you should be able to obtain an equipment lease despite having bad credit. First, make sure the leasing company you are working with has a bad credit financing program. If you have credit problems you will need to prove that you are now capable of making your lease or loan payments on time. You need to be upfront about your credit problems. Be ready to submit a letter of explanation with your application. Also be prepared to pay a larger security deposit and higher rates than start-up business owners with good credit. Some finance companies will let you have a co-signer. If so you will just need to find a friend, family member or business partner with good credit to be on the lease or loan with you. You can also offer additional equipment or property you own as additional collateral. If you are trying to get approved for a small business loan, keep in mind that not all loan programs are open to bad credit. So again, do your research. Be prepared with a letter of explanation. And be prepared for higher interest rates and security deposits. Its never too early, or too late to start building business credit. Did you know that the SBA uses a scoring model that combines your personal credit with your business credit? Its called the SBSS (Small Business Scoring Service) Score. This scoring model is provided by FICO to SBA lenders during the pre-qualification process. A strong business credit score can help you to get approved! Especially if your personal credit is close the minimum credit score required for a SBA loan (620), strong business credit can give you that push you need! Also keep in mind that As a start-up business, lenders will be looking at how you handle your personal credit in order to approve you for financing. So even as you build your business credit, you want to make sure you keep your personal credit score as high as possible. Finally, sign up for business credit reporting services. The biggest and most used of these services is Dunn and Bradstreet. Experian and Equifax also have business credit report services. Set up accounts with all 3 and start building your business credit! Need help doing this? Don’t forget to contact us about our business credit building service! We will help you obtain financing and teach you ways to improve your business credit score!